Trained in composition by Nadia Boulanger in Paris and Luciano Berio at Juilliard, Noah Creshevsky is the former director of the Center for Computer Music and Professor Emeritus at Brooklyn College of the City University of New York. His work has been supported by grants and awards from the National Endowment for the Arts, the New York State Council on the Arts, and the American Society of Composers Authors and Publishers. (ASCAP). Alexander Broude, the University of Michigan Press, the Contemporary Music Review, and the Institute for Studies in American Music have published his music and articles. Recordings of Creshevsky's works are on records and compact discs by Opus One, Centaur, Mutable Music and EM Records. His music has been performed and broadcast internationally. 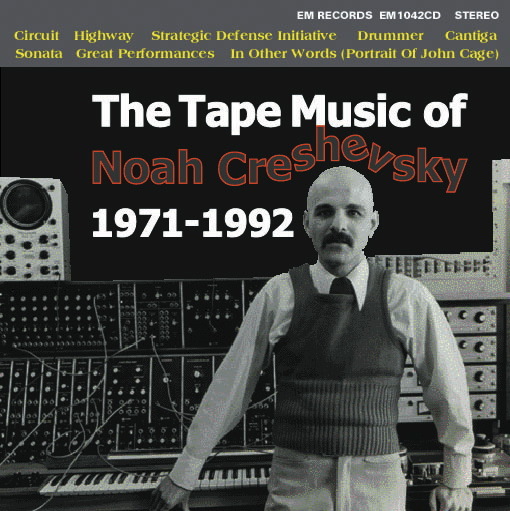 Much of Creshevsky's musical vocabulary consists of familiar bits of words, songs, and instrumental music which are edited but rarely subjected to electronic processing. 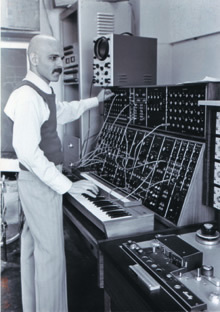 By obscuring the boundaries of real and imaginary ensembles though the fusion of opposites: music and noise, comprehensible and incomprehensible vocal sources, human and super-human vocal and instrumental capacities, Creshevsky's music is at once nearly corporeal and tangentially electronic, but never fully one or the other. This alliance of opposites is heard both in his text-sound compositions (1973-1986)-- Pop Art works in which extreme and unpredictable juxtapositions of iconographic sonic materials establish links between music and society--and in later pieces, in which the integration of electronic and acoustic sources and processes produces "superperformers"--hypothetical virtuosos who transcend any limitation of individual performance capabilities. Creshevsky's most recent hyperrealist compositions explore the fragmentation and reconstruction of pre-existing music in combination with original synthetic and acoustic materials. Allusions to Middle Eastern, Asian, and Western sacred, secular, popular, and classical instrumental and vocal music seek to produce imaginary performers of indeterminate identity--simultaneously male and female, Western and non-Western, ancient and modern, familiar and unfamiliar.